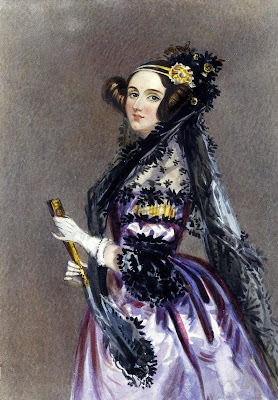 Today would've been Augusta Ada King, Countess of Lovelace, aka Ada Lovelace's birthday (1815 - 1852). Born Ada Byron, Ada King was the first mathematician who came up with the fist algorithm for a machine, during 1842 - 1843. In other words, it was a woman who became the first computer programmer—in an industry that continues to be male dominated, still. Who ever says or believes that women aren't good in math and sciences are obviously wrong, right Ada? Have a quick watch at Google's Doodle from today, which is dedicated to the legacy of this brilliant woman, (featured above).